“I am not going to give up. This is the life that I want. I will be at West High until I am not needed here anymore,” math teacher Michelle Pearce said. 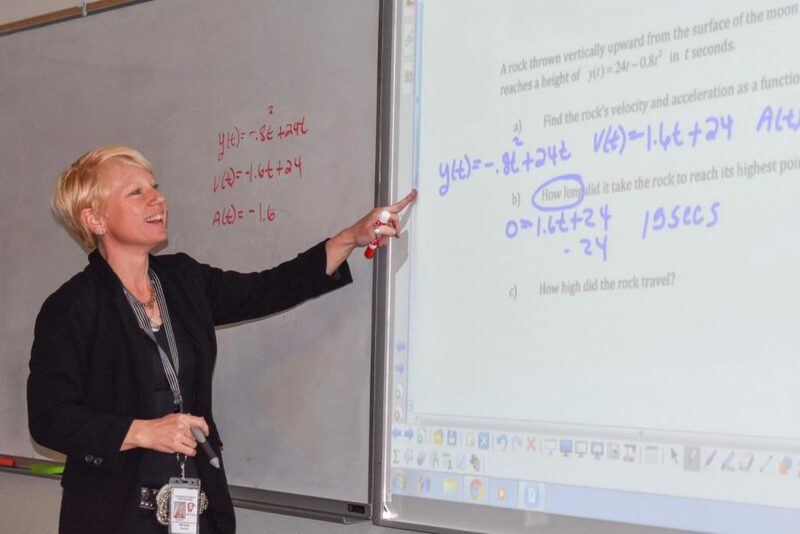 Through enduring an existential realization, sustaining a career change, and pursuing seven college degrees, AP Calculus teacher Michelle Pearce has managed to pinpoint exactly how she will imprint the minds of future generations. Stemming from her experiences as a teacher, Pearce has reached the underlying conclusion that the key to a better future is empowering the youth demographic through education. As of the new year, Pearce will have been teaching at West High for eight years. Her multitude of roles encompass a wide range of functions. Being a lead teacher for West, Pearce directs and supports educators in providing the best education for students. Currently, her titles also include AP Calculus teacher and co-department head of the mathematics department. Many may not know that Pearce is also the flexi-schedule administrator, and operates the entire online system in the backdrop. “I am very intense and am always going to tell you the truth. I am not scared of much. It’s important to me that people know what they are being faced with instead of giving them the sugar coated version and hoping that they can figure it out in the end,” Pearce said. As an educator that has grown to know Pearce over the years, mathematics teacher Lindsey Gosse recounts the imperativeness of their collaboration in order to support quality education for students. “I’ve worked with Mrs. Pearce since she started. We work closely to make sure that the Pre-Calculus and Trigonometry courses are aligned, and students are ready for Calculus. She’s my ‘go-to’ for anything that I am unsure of. 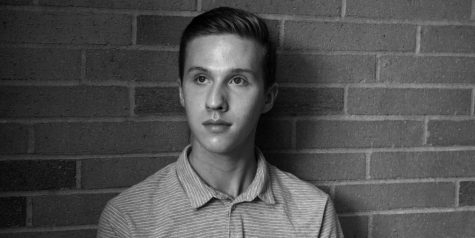 We bounce ideas off of each other,” Gosse said. Before her higher education and career as a math instructor, Pearce owned her own business— a private swim club. Comparable to a country club without a golf course, Pearce’s staff was composed of individuals younger than herself, and she was bringing in about six figures annually. “I did everything a little bit backwards. I was just living for myself and doing everything that I wanted to do. I was spending a lot of money, had seventeen cars, and was twenty-four, twenty-five years old. I wasn’t doing much for the world,” Pearce said. Though Pearce was uncertain of how she would influence the world at that time, she decided to attend St. Ambrose University in pursuit of a finance degree and later proceed to complete an accounting degree. Pearce soon returned to St. Ambrose University for the third time, where she delved into a new major— education. Upon notifying the university of her interest, they questioned whether she wanted secondary or elementary education. “And I said ‘Well, if a student ever pees, poos, or vomits in my room, I am running like you’d never believed.’ They said secondary it is,” Pearce said. Expeditiously, Pearce moved on to receive her education and mathematics degree. The pursuit of her degrees was relatively straightforward, though she had to work hastily due to her situation in life. “I was already an adult. I had five kids, a home, responsibilities, bills— I had stuff to do. If I wanted to make a career change, I had to do it quickly,” Pearce said. Most recently, Pearce has obtained a masters degree in curriculum and instruction and is currently working towards finalizing her doctorate. Soon enough, Pearce began her role as an educator by teaching at West. It is here where she developed an authentic compassion for being a math teacher. She is more than happy to call West her home. “It’s the only building that I’ve ever worked in. I wanted high needs. I wanted to be somewhere that I could be useful if I’m going to make this kind of life change. These students are real. They get it. They’ve experienced life. They haven’t been sheltered,” Pearce said. Over time, Pearce started to learn the culture of students. Realizing that the traditional teaching style had not satisfied her high expectations, there was a need for change. “When I took over the AP Calculus program, we had thirteen kids on the roster, and they were dropping out and failing like crazy. We were losing GPAs and everything was going insane. So when I took this over, I took the approach of discovering what students needed, and how to motivate them, as opposed to just simply spoon feeding them. I want my students to own the information,” Pearce said. Pearce found this approach to be efficient through the trial and error of many methods over the years. After trying everything she possibly could to make her students successful, she had finally found a teaching style that resonated with them. Pamela Friede, a freshman student at the University of Iowa studying mechanical engineering recalls her greatest memories from her AP Calculus class with Mrs. Pearce in the 2017-2018 school year. Whether it be her inclusive environment, humorous stories, or all-around teaching style, Friede appreciated Mrs. Pearce’s contribution as she strived for higher education. For Pearce, all of her students are family. Pictured behind her desk in her classroom is a collection of tens of pinned photos and written notes that stretch the span of half a wall and ultimately epitomize her best moments of being a teacher. Maintaining this connection with her students as they progress through higher education reflects a deep value concentrated within Pearce. Not only does she want them to be successful, but she also wants them to realize that they are not alone in this world. “Every human matters. Every single student that sits in my room matters. They are our future. That’s how I look at it every day. When I see my calculus kids sitting here in class and I see the brilliance in my room, I think we need to take care of and nourish this. We have to make sure that they have just as much opportunity as someone at an elite school,” Pearce said. In pursuit of making an impact, Pearce has found happiness in knowing that her students will venture into the world utilizing the education, lessons, and values that she has instilled in them. Through it all, she primarily wants her students to realize that her offering of support is not confined to just a three-term course.